Katakana represents the same set of phonetic sounds as Hiragana except all the characters are different. Since foreign words must fit into this limited set of [consonants+vowel] sounds, they undergo many radical changes resulting in instances where English speakers can’t understand words that are supposed to be derived from English! As a result, the use of Katakana is extremely difficult for English speakers because they expect English words to sound like… well… English. 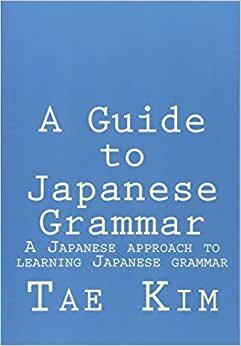 Instead, it is better to completely forget the original English word, and treat the word as an entirely separate Japanese word, otherwise you can run into the habit of saying English words with English pronunciations (whereupon a Japanese person may or may not understand what you are saying). Katakana is significantly tougher to master compared to Hiragana because it is only used for certain words and you don’t get nearly as much practice as you do with Hiragana. To learn the proper stroke order (and yes, you need to), here is a link to practice sheets for Katakana. Also, since Japanese doesn’t have any spaces, sometimes the symbol 「・」 is used to show the spaces like 「ロック・アンド・ロール」 for “rock and roll”. Using the symbol is completely optional so sometimes nothing will be used at all. The four characters 「シ」、「ン」、「ツ」、and 「ソ」 are fiendishly similar to each other. Basically, the difference is that the first two are more “horizontal” than the second two. The little lines are slanted more horizontally and the long line is drawn in a curve from bottom to top. The second two have almost vertical little lines and the long line doesn’t curve as much as it is drawn from top to bottom. It is almost like a slash while the former is more like an arc. These characters are hard to sort out and require some patience and practice. The characters 「ノ」、「メ」、and 「ヌ」 are also something to pay careful attention to, as well as, 「フ」、「ワ」、 and 「ウ」. Yes, they all look very similar. No, I can’t do anything about it. You must learn the correct stroke order and direction! Use the following pdf practice sheets to practice. Long vowels have been radically simplified in Katakana. Instead of having to muck around thinking about vowel sounds, all long vowel sounds are denoted by a simple dash like so: ー. All long vowel sounds in Katakana are denoted by a dash. For example, “cute” would be written in Katakana like so: 「キュート」. Due to the limitations of the sound set in Hiragana, some new combinations have been devised over the years to account for sounds that were not originally in Japanese. Most notable is the lack of the / ti / di / and / tu / du / sounds (because of the / chi / tsu / sounds), and the lack of the / f / consonant sound except for 「ふ」. The / sh / j / ch / consonants are also missing for the / e / vowel sound. The decision to resolve these deficiencies was to add small versions of the five vowel sounds. This has also been done for the / w / consonant sound to replace the obsolete characters. In addition, the convention of using the little double slashes on the 「ウ」 vowel （ヴ） with the small 「ア、イ、エ、オ」 to designate the / v / consonant has also been established but it’s not often used probably due to the fact that Japanese people still have difficulty pronouncing / v /. For instance, while you may guess that “volume” would be pronounced with a / v / sound, the Japanese have opted for the easier to pronounce “bolume” （ボリューム）. In the same way, vodka is written as “wokka” （ウォッカ） and not 「ヴォッカ」. You can write “violin” as either 「バイオリン」 or 「ヴァイオリン」. It really doesn’t matter however because almost all Japanese people will pronounce it with a / b / sound anyway. The following table shows the added sounds that were lacking with a highlight. Other sounds that already existed are reused as appropriate. Notice that there is no / wu / sound. For example, the Katakana for “woman” is written as “u-man” （ウーマン）. While the / tu / sound (as in “too”) can technically be produced given the rules as 「トゥ」, foreign words that have become popular before these sounds were available simply used / tsu / to make do. For instance, “tool” is still 「ツール」 and “tour” is similarly still 「ツアー」. Back in the old days, without these new sounds, there was no choice but to just take characters off the regular table without regard for actual pronunciation. On old buildings, you may still see 「ビルヂング」 instead of the modern spelling 「ビルディング」. Translating English words into Japanese is a knack that requires quite a bit of practice and luck. To give you a sense of how English words become “Japanified”, here are a few examples of words in Katakana. Sometimes the words in Katakana may not even be correct English or have a different meaning from the English word it’s supposed to represent. Of course, not all Katakana words are derived from English. Here is the katakana chart you can use to help test your memory. 「ヲ」 has been removed since you’ll probably never need it. Here, we will practice writing some words in Katakana. Plus, you’ll get a little taste of what foreign words sound like in Japanese. This Katakana writing exercise includes all the irregular sounds that don’t exist in Hiragana. Just for fun, let’s try figuring out the katakana for some English words. I’ve listed some common patterns below but they are only guidelines and may not apply for some words. As you know, since Japanese sounds almost always consist of consonant-vowel pairs, any English words that deviate from this pattern will cause problems. Here are some trends you may have noticed. If you’ve seen the move “Lost in Translation”, you know that / l / and / r / are indistinguishable. If you have more than one vowel in a row or a vowel sound that ends in / r /, it usually becomes a long vowel sound. Abrupt cut-off sounds usually denoted by a / t / or / c / employ the small 「ッ」. For “t” and “d”, it’s usually “o”. For everything else, it’s usually “u”.